Customer Success is a critical go-forward corporate strategy. It supports the commercial paradigm shift from selling products/services to your customer to focusing on what you can do to ensure the commercial success of your customer. Best-in-class companies ask themselves, “How are our products/services adding measurable value to our customers, and what metrics do we need to put into place to measure this value to ensure maximum customer lifetime value?” Customer Success strategy may have started in the SAAS or subscription services area but today it is being mastered by all companies that sell into the consumer and industrial marketplace. If your company is determined to survive in the fourth industrial revolution that is based on ‘intelligence’, this is one webcast you will not want to miss! Since 1985, Barton Goldenberg has been bringing compelling thought-leadership keynote presentations to business audiences across the US and around the world. Bring his voice and expertise to your audience, whether for a board meeting or events for senior executives, sales/marketing/customer-service personnel, or customers. 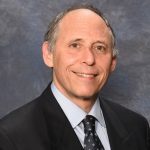 Barton Goldenberg is founder and President of ISM Inc. For 3 decades ISM has pioneered the design and implementation of customer-centric strategies in the areas of sales, marketing and customer service. The world’s best companies have recognized ISM as the leader in applying state-of-the-art technologies and techniques to drive customer acquisition, retention and growth focusing on Digital Transformation, Social Media Communities, Emerging Technology, CRM, Customer Engagement and Data & Analytics. 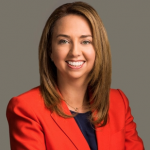 Jamie Domenici is the Global Vice President of Customer Adoption and Marketing for Success Cloud at Salesforce, the world’s No. 1 CRM software company. In this role, she is responsible for driving all marketing strategy supporting the Salesforce adoption and advisory services that help Salesforce customers become real Trailblazers. Jamie has worked at Salesforce for eight years as a senior leader in product and campaign marketing and previously led operations at Ingres Corp., an open-source database company, and OSIsoft, Inc., a real-time performance management software manufacturer. Passionate about marketing efforts grounded in data and analytics, Jamie began her career working at a small business, where she managed its technology and CRM implementations – on Salesforce, of course. She currently lives in San Francisco. ISM works with your organization to ensure you have the right team and metrics in place to ensure your customers measurably benefit from your products and services. When you customer succeeds, you succeed. Learn more about our focus on Customer Success and Customer Engagement Strategies.